St. Ignatius of Antioch Antiochian Orthodox Christian Church serves the Madison, Wisconsin area. Our membership includes Orthodox Christians of Middle Eastern, Greek, Russian, Coptic, Serbian and other ethnic backgrounds, as well as many who have come from Protestant and Catholic backgrounds. It is a youthful and dynamic parish which prays, serves the local community and socializes together. Our Divine Services are all in English and sung a cappella. Our Sunday Divine Liturgy begins at 10:00am and is approximately 1 hour and 30 minutes long. A luncheon pot-luck coffee hour immediately follows Divine Liturgy. All families and guests are encouraged to enjoy a light meal and, more importantly, share in fellowship. 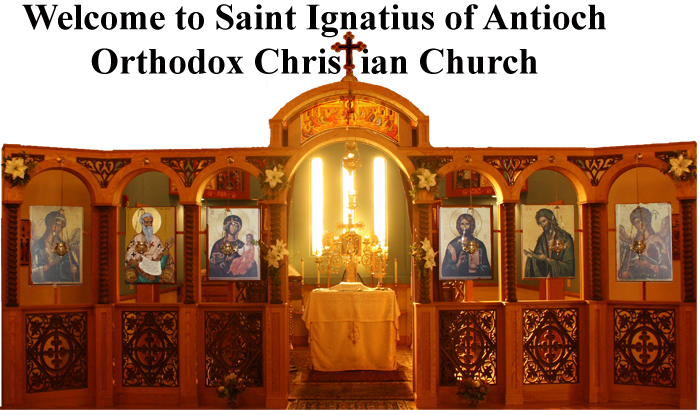 For first time visitors to the Orthodox Church a good service to attend is the Saturday evening Great Vespers starting at 6:00pm (6:30 pm from June to the beginning of September) which is about 45 minutes long. Here one will hear the beautiful melodies of the Byzantine and Russian traditions, prayers of petition, psalmody, and seasonal topics of celebration. Inquirer’s Class is generally held every other week at 4:30pm (5:00 pm from June to the beginning of September) before Great Vespers (check calendar for exceptions). This informal Q/A is a great opportunity to meet our priest, ask questions, and meet Orthodox Christians from the parish and other inquirers. Our general schedule of services is here. If you’re looking for additional online resources about Orthodoxy, the Antiochian Archdiocese website, Journey to Orthodoxy, and Ancient Faith Radio are sites we recommend.